My husband and I grew up in a very small town so on the weekends it was not out of the norm for us to drive an hour to go to the closest mall or to go find some entertainment outside of town. On our way back home we frequently passed this wonderful little Italian deli. They had the BEST sandwiches and side salads. 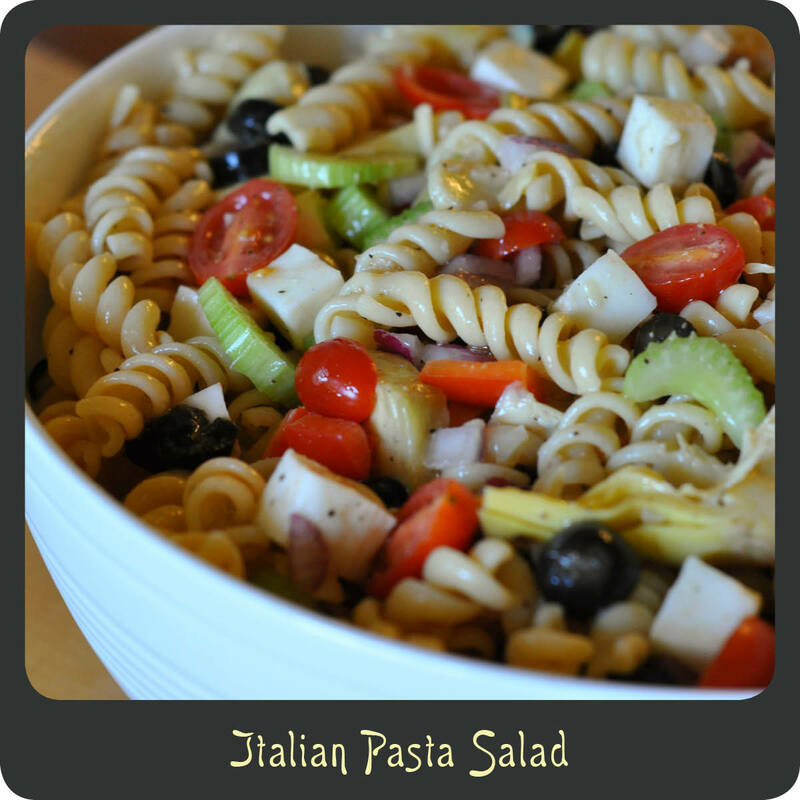 One of the side salads, which my husband absolutely loved, was their Italian pasta salad. I did my best to recreate this salad just for him. This makes a party sized batch, so if you are just making it for the family I recommend halving it. This is a perfect salad for a bbq or potluck and is sure to be a hit with all partygoers. Note: This pasta salad will last approximately 4 days in the fridge. It gets better each and every day as the Italian dressing soaks into the pasta and veggies. Bring a large pot of water and the 2 tbsp of salt to a boil. Add noodles and cook per package instructions. Drain the cooked pasta and rinse with cold water. Transfer the cooked pasta to a large bow. Add the Italian dressing, garlic, red bell pepper, red onion, celery, artichoke hearts, cherry tomatoes, mozzarella, and olives. Season with additional salt and pepper if desired. Refrigerate the pasta for 3 or more hours. The longer the better. 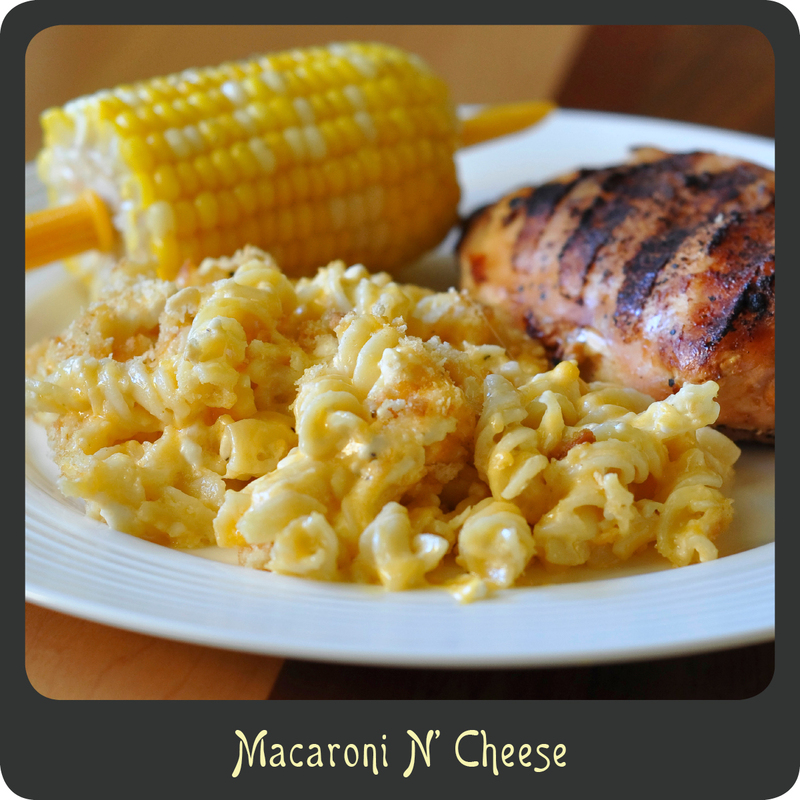 When I think classic comfort food, I think of macaroni n’ cheese. Not the orange powdery stuff in a box that one might consider to be cheese, I’m talkin’ the real deal here. I’m talkin’ down right delicious oven baked mac n’ cheese that has a perfectly crunchy topping covering ooey gooey cheesy noodle goodness. If you are on a diet, do yourself a favor and don’t make this! You will not have the self-control to only eat one bite let alone resist it. Once you try this macaroni n’ cheese you will never need or want another recipe ever again. It is so good! It has now even become a regular item at our holiday dinners so keep it in mind come the holidays. I hope you and your family enjoy this favorite recipe of mine. Note: I will warn you, this makes A LOT of ridiculously divine macaroni n’ cheese. It’s not a bad thing, just be warned! I actually follow the recipe and then split it into two 9”x 9” dishes and freeze one since it freezes great! The disposable foil containers you get at the grocery store are perfect for this and I love that they fit in the seal o’ meal bags allowing them to last well over 6 months in the freezer, not that it will last that long, but it could. Bring a large pot of water to a boil and cook pasta noodles al dente according to package instructions. While pasta is cooking combine cottage cheese, sour cream, eggs, cheeses, and seasonings in a large bowl. When your pasta is done cooking add it to the cheesy mixture and stir well. 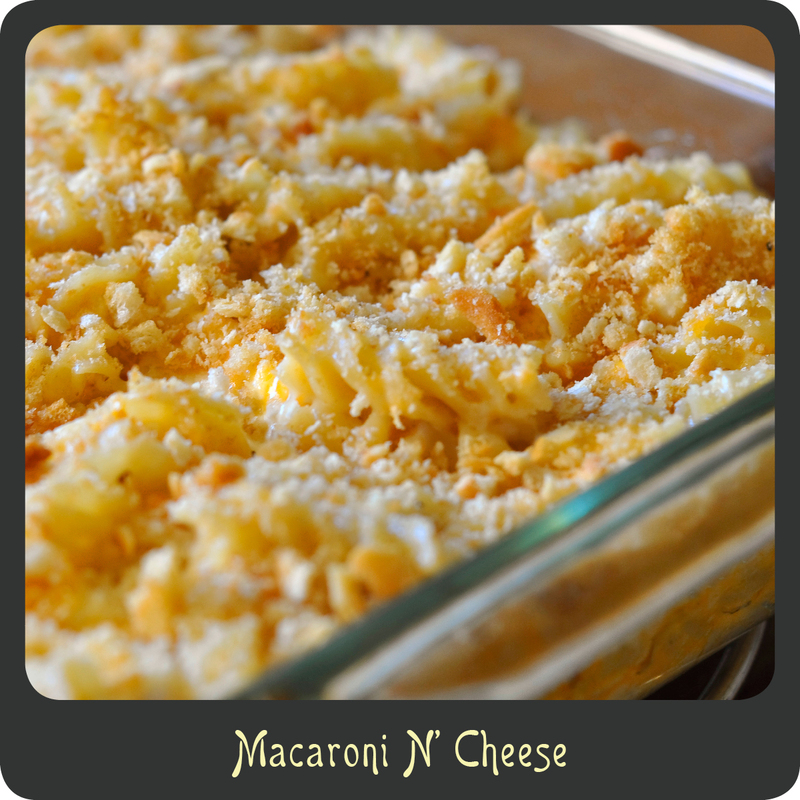 Place macaroni n’ cheese in a 9” x 13” baking dish, or two 9” x 9” dishes if you wish to freeze one for later. Place in oven and bake for 25–30 minutes or until bread crumbs are lightly browned on top.